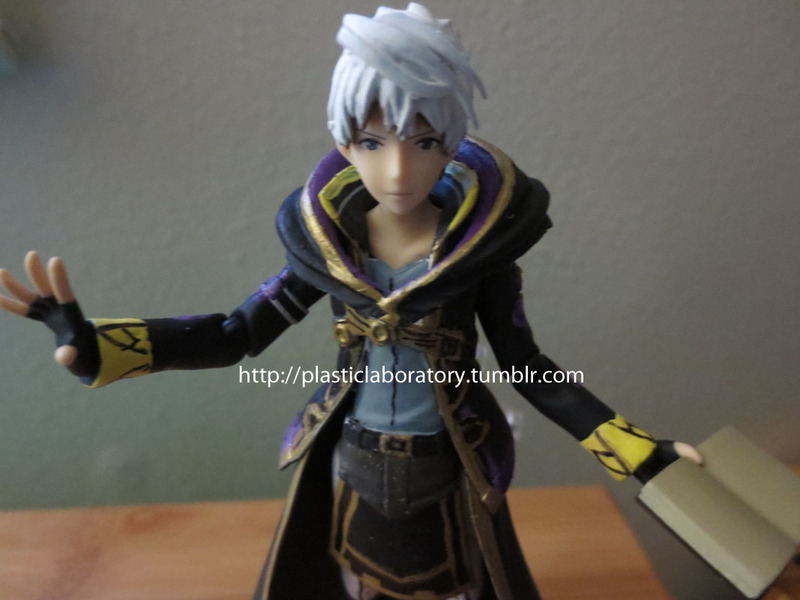 Custom figure I made of Robin/Avatar from Fire Emblem Awakening. ^_^ The spell book is removable from his hand. 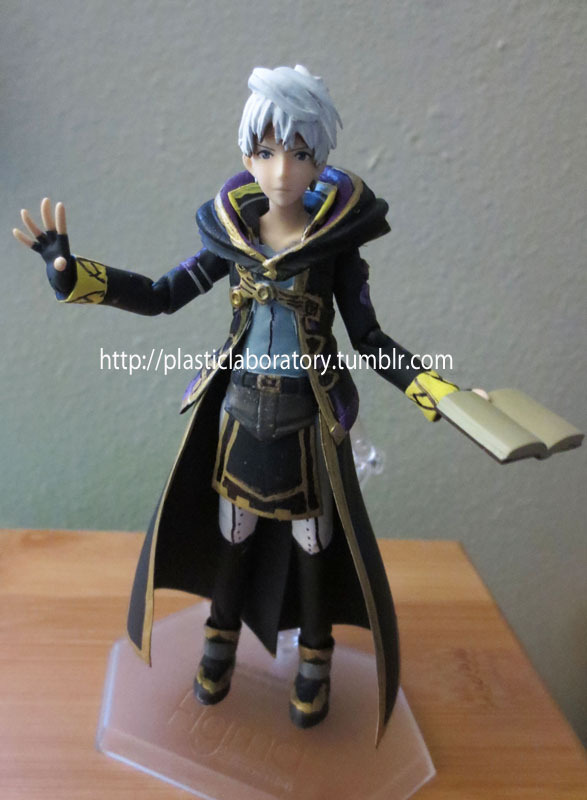 I actually wish Nintendo had an official Robin figma figure with swappable faces and hairstyles to match the in-game choices. 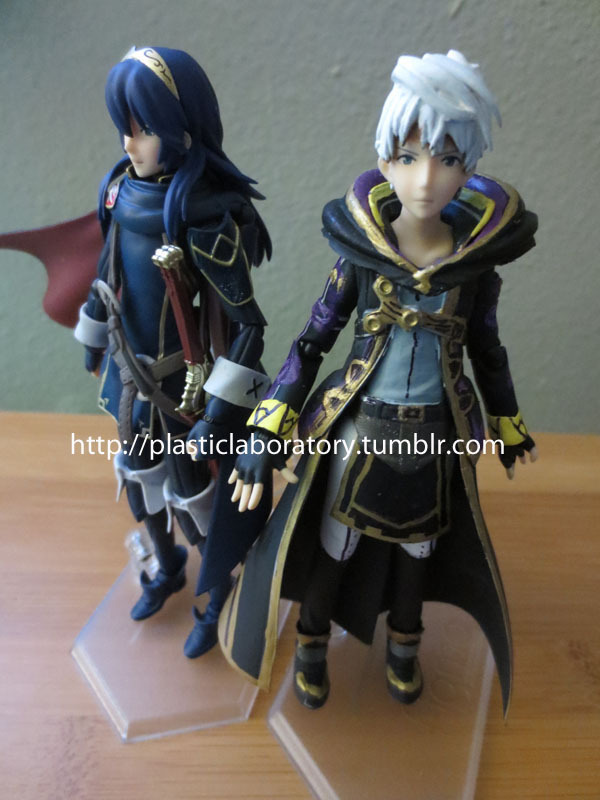 He looks really cute next to the official figma figure of Lucina.